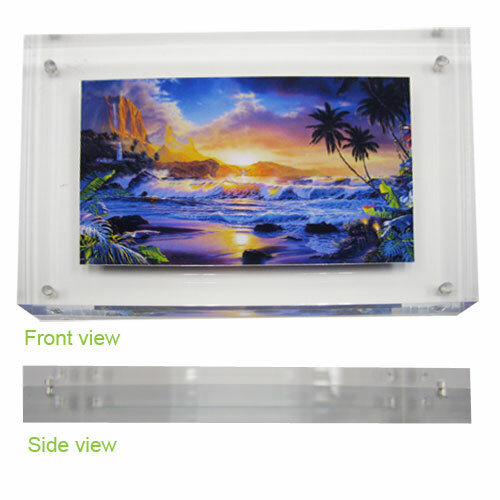 Highlighted is a crystal photo frame with a clear and minimalist design that has an aesthetic touch. 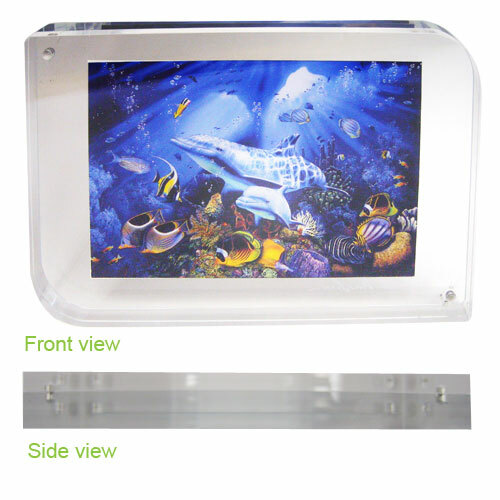 The good-quality crystal construction offers long-lasting beauty. 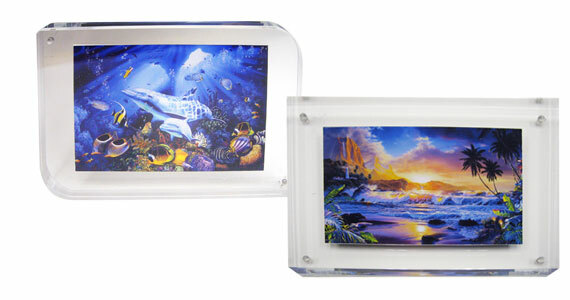 Treasure your photographic masterpiece with this beautiful photo frame. L5.25" x W7.25" x H0.875"
L6" x W9" x H0.875"